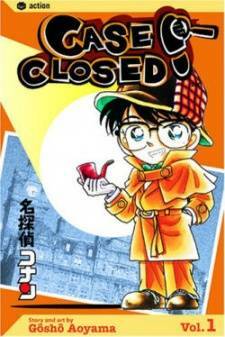 Scenario: Ran forces Conan and Kogoro to visit a museum where she heard reports of a medieval suit of armour moving on its own. They find an unguarded restricted area at the museum. Inside they find Mr Minaka, the museum owner, dead and pinned to the wall with a sword. They examine the security camera and find out Minaka was killed by the suit of armor. A piece of paper is discovered that appears to reveal Koboda as the murderer. Conan realizes that Minaka's pen was retracted at the time of death and that Kaboda is being framed. 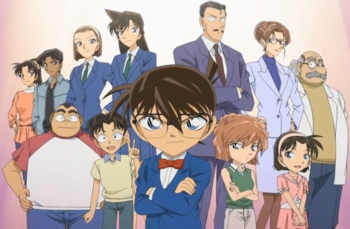 Conan drops hints allowing Kogoro to determine that Mr O'Donnell, the museum's director, is the murderer. O'Donnel confesses he did this to protect the museum from becoming a casino and attempted to frame Kaboda since he was secretly selling museum art pieces. The museum remains open as the public protested against its destruction.